In spirit of NEDA week Amanda suggested focusing on recovery- /body-image-related topics for today’s episode of Thinking out loud. I’m following suit because recovery and ED awareness are topics dear to me and there’s a topic that’s been on my mind and sitting in my drafts folder for a while already. Time to talk about a sentence that changed my approach to body shaming. You don’t have a body. You are a body. In fact, it has been ingrained with me in ways I didn’t notice. Several months ago I attended a workshop on self-presentation in application procedures. The first task all attendees got was to shortly present themselves pretending they were applying for their dream job in that very instant. On a random note: I absolutely dislike presenting myself in front of huge groups. Spontaneously at that? The horror. Given that I hastily introduced myself and talked a little about my To my surprise, the feedback I got from the instructors afterwards stressed one important point: I’d been the single person in a group of about twenty who presented herself not saying something along the lines of “my name is” or “I’m called” but using “I am”. We are so much more than our physique. We are caring. Creative. Loud. Quiet. Cheery. Inspiring. Loving. Smart. Maybe you have a smile that’s contagious or your jokes make everyone laugh so hard they have to cry. Note that I’m not saying I was perfect. I have bad days where I’m feeling discontent with myself. But whenever I’m about to think negatively about myself as in a body-shaming way – think: “my legs are fat”, “my stomach is wobbly”- I stop myself. Judging any part of my physique negatively with the sentence above in mind would mean criticizing myself as a whole person. Really? Even on our ‘fluffy days‘ we’re no less caring. No less interested in others. No less creative. Loving. Genuine. Unique. Many of you will know it already: it’s National Eating Disorders Awareness [NEDA] week. It might say national but knowing the blog world and the fact that eating disorders affect people all of the world it’s needless to say it’s going to be international. For this What I ate Wednesday I’m going to share some recent meals and snacks as well as some reflections on the progress I’ve made over time. Thanks to Jenn for hosting! With recovery in mind this was a positive change for me, though. For years I felt like I needed to stick with the lowest calorie options. If I ate breakfast at all it was something I wouldn’t even consider anything close to a proper meal nowadays. And eating again this soon afterwards just because I didn’t feel quite satisfied? No, I’d try my best to sit it out. Wait. Drink a cup of tea to fill the void in my stomach. And count down the hours until the next time I’d be ‘allowed’ to eat. Did my family notice all of this? Yes. Did they try to intervene? A million times. But were they able to help? No. Because recovery is a choice we have to make ourselves. No matter how insistent my mum was about me eating that bowl of soup, drinking the full-fat hot chocolate in a coffeeshop when we were out shopping or making me have a whole-grain roll for dinner [only for me to nibble on it and discard the largest part in an unobserved moment]. I’d freak out about the unknown calories and try to make up for it the rest of the day. Or better yet: by cutting down my intake the whole next day. It wasn’t fun – but it made me feel in control. When actually, it was the eating disorder taking control over me, robbing me of joy in food and life in general. Eating something like chips straight from from the bag while watching a movie on a rest day? Impossible. These days I’ve gotten a lot less strict about which foods I eat, experimenting and coming up with own recipes and keep getting better about going with my cravings no matter of the time. For me, it’s still a way to go but with every time I’m challenging the ED voice in my head I know it’s getting better. There’s too much good food and too much enjoyment in life to miss out on. Even when it was time for lunch I didn’t eat according to my cravings but whatever had the lowest amount of calories and highest volume. At my worst this could mean a whole head of broccoli with meticulously measured low-fat sauces. And if others dared asking for a bite of whatever I’d prepared or even stealing a spoonful without doing so in advance? I’d get furious because my alloted serving size had been decreased and I wasn’t able to calculate how much more I’d be allowed to make up for missing parts. It was all about calories – pleasure didn’t matter. With a painfully bloated stomach it seemed like I had eaten a lot but I never felt satisfied. Eating a real lunch was one of the biggest challenges for me at first – and now I can’t imagine not having it anymore. No longer is it just about piling up steamed bland vegetables on a plate but I truly enjoy trying new dishes. The blog world has been a huge source of inspiration and encouragement for me on my journey and I’m thankful for that. Where does this leave me? Am I recovered yet? By far not. I’ve seen a lot of improvement already but there will be many more struggles to come until I get to the point of feeling ‘normal’. Challenges to face. But I’m determinded to keep going on – because backwards isn’t an option anymore. Happiness inducing today: Enjoying my lunch outside in the sun. Are you good at listening to your cravings? If you’re in recovery: What were or are some major challenges for you in terms of food? And because I realize this is a very wordy post and it’s WIAW after all: What have you been eating lately? Deliciously hearty whole-grain bread and sweet pears in a creamy vanilla cinnamon sauce with a protein punch. All topped with fresh raspberries for a breakfast delight on a Sunday morning – or any day. Sundays are for sleeping in. For curling up in bed with a good book. For having a leisurely breakfast. All of these happened for me yesterday and the latter resulted in a new recipe. Not only in an effort to make good use of the extra time and to keep things interesting but also to figure out which diet works best for me, I got creative in the kitchen. If you’ve been reading health and fitness magazines, blogs or websites for any time you’ll have come across many different claims. Some say you should load up on carbs at breakfast, others recommend protein for a satisfying meal to keep you going for hours. Not one to judge before I’ve walked in those shoes myself – or should I say: before I’ve eaten a few spoonfuls of this, a few of that 😉 ?! – I decided to go the high[er] protein route yesterday. It’s been a while since I had sweet bread pudding but for some reason it felt like a Sunday-worthy dish to try. Bread pudding is one of those recipes that seem really involved, maybe even intimidating when they actually just require washing a few more dishes. In the end, I’ve found it’s highly individual and – at least for me – even depends on the very day. With all that in mind, I’ve been changing up my meals more than I used to before lately. It’s always a game of trial and error – but a delicious fame at that for the most part. This time it was vanilla-licious. And pear-licious because I’ve been on a serious pear kick these past weeks. 1. Add the silken tofu, protein powder, almond milk, cinnamon and maple syrup in a bowl. Blend until smooth. 2. Combine the bread and pear cubes in a small casserole dish. 3. Pour the silken tofu mixture on top and smooth it out making sure to coat all bread pieces. 4. Bake in the preheated oven at 320 °F for about 15 minutes. 5. Top with fresh raspberries, almond butter or any other toppings your heart desires. * I left my bread out on the counter overnight to let it get stale. If yours is fresh just toast it and proceed with the recipe. On a random note it was actually via Katie’s blog that I heard of SunWarrior for one of the first times. So thank you, Katie, not just for hosting our marvelous Monday celebration but inspiring some protein creations [to come], too! While I’m personally as of yet undecided whether or not high-protein is the way to go for me at breakfast I know Laura and Kierston like themselves some protein-packed meals. I’m also linking up with Healthy Vegan Fridays and Wellness Weekends. Happiness inducing today: Spotting the blog of a [real life] friend in Bloglovin’s top picks for the week. Do you have a go-to breakfast that keeps you going for hours or switch it up regularly? Breakfast in general: sweet or savoury? Happy Sunday! I hope your weekend’s been filled with happiness and sun so far and/or will continue that way. My internet connection has been acting up when putting this post together already so I’m not challenging fate by going for a long intro. But I think we can agree that’s a good thing because it gives you more time for all these great reads. Right 😉 ?! I’d be curious to hear what you think about any of these posts! Simplify and Soften via hello, veggy! In times of change it is important to care for ourselves and be gentle in our actions. Because flawlessness doesn’t look real anymore. True natural beauty does. Healthy living: is it about willingness or willpower for you? A thought well worth reading. What your cravings might be supposed to tell you. Very informative post. Ways to avoid getting hurt in the first place. Lack of sleep, dehydration and boredom might be the reason for more frequent trips to the pantry. Make yourself feel loved every day. Read this if you’re a blogger and having a bad day. Read this if you’re having a good day. Just read this, okay? Writer’s block happens to many of us and these are some great go-to options. Knowing your camera and having an idea of the final picture before you start will help create better pictures. Good ideas aside from the obvious selfie – and who’d have guessed it -might- help to prevent unneccessary purchases?! … and I bet we can think of thousands more. But you still feel like asking. Anything with cumin is a win in my book and these are no exception. Who says carrots had to be boring? Sneaky avocado action for a buttery taste in these bites of chocolate goodness. Sometimes quick is key without sacrificing taste or nutrition. Happiness inducing today: Just allowing myself a relaxed day. What were some of your favourite reads from the week? If you read any of the above already: share your thoughts! With a writing assignment due by the end of the week at latest I’m thankful Amanda gives all of us a great excuse to forego a lengthy introduction on Thurdays. Let’s get Thinking out loud! 1. Returning to your apartment when you’ve been away for several months means many things. The most significant in terms of food, though: a serious lack of produce. And for whichever reason I had the hardest time deciding what to buy. 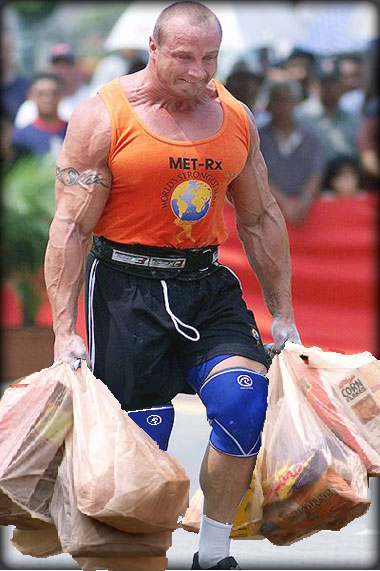 The latter resulted in a serious strenght workout: carrying home several pounds of vegetables is just that. Simultaneously the up- and downside to living in a city and without a car: stores within [relative] walking distance. … though I guess I actually looked more like him. Can anybody relate? 3. If I said anything about January flying by at lighting speed: February is in no way inferior to it. Are you sure it’s the 20th already?? Oh, first random thought: when talking about what time of a month it is do you group by 1st to 1oth = beginning, until 20th: middle and the remainder being the end, too? It’s probably weird I’m even thinking about this but according to my logic we’ve almost reached the end of the month already 😯 !? And it does not feel like that yet. Can we rewind back to the start, please? 4. In case you remember the gym story I mentioned in my last Thinking out loud post: there was a detail I forgot to mention but was reminded of when Megan suggested changing the elliptical. Definitely a good idea in theory but the gym only has a total of four ellipticals and all of the others were occupied, too. If that’s not enough to make you laugh: have a guess at how many treadmills there are. No guesses? One. And I was never aware treadmills could have an incline setting until I noticed other bloggers posting workouts mentioning it. Needless to say ours didn’t have one ;). 6. One thing I didn’t mention in my post on Friday: my choice of dessert there. Frequent readers will know my inability to decide or pick favourites of any kind. So when it came to choosing a treat to submit Davida had to endure my pondering back and forth never actually sharing the plethora of ideas flying through my head. Oooh my. Long story short: don’t be surprised if you see more single-serving desserts appearing on the blog – or in the case of failures hear me ramble about my oven or whom- or whatever else I can blame 😉 . 7. This article lists even more reasons to make a trip to IKEA again and made me smile because I actually got my first orchid there. Which now has a sibling because my mum was sweet enough to give me one of hers as a moving-back gift. 9. … the last pictures I took before leaving my parents’ house, however, were announcing a triumph.The most exciting news to mention: I finished the puzzle! Granted, at the beginning I had my doubts of ever working it all out but once I’d gotten more into it the progress became more noticable. If it hadn’t been for those almost alike-looking pieces in the end again, though. Now to start a new one or not? 10. All is said and done for now except: Happy Thursday! Happiness inducing today: Calling my mum. I miss her already. Running errands: the next workout trend 😉 ? What are three staples you can’t live without? Starting a new puzzle: yes or no? Traditionally Wednesdays are for sharing our latest favourite meals or even a full day of eats. Confessing it right away, though: I slacked on blogger duties these past days. Not only did I hardly take any pictures of food but I can’t even remember my last actual recipe creations [and apparently didn’t take notes on all of them]. Fingers crossed the memories will return soon. So here’s to closing my own memory blank by looking through the last pictures on my camera and filling you on in what I’ve been eating on this What I ate Wednesday. Thanks as always to Jenn for hosting! Stocking up on produce for the first time after my move resulted in a pretty and pretty huge bounty of vegetables [love your veggies? Check.] that I could have turned into a million creative dishes. But fighting the masses at the only grocery store opened on Sundays left me ready to chew my arm off so a quick random vegetables bowl it was. With two beautiful organic avocados on hand that I’d gotten at the farmer’s market while still at my parents’ I decided to add some of those, too, rather than my usual nut butter drizzle. Every time other bloggers show their avocado-topped dishes I feel I should give these little green beauties another try. Admittedly, though, I’m still undecided. What I can say is that I’m not into chunky avocado but it’s nice mashed up – only it doesn’t make for the prettiest picture so you’re getting the pre-mashed one. One newfound obsession I remembered clearly, though, were dumplings. Or what I’d call dumplings because I didn’t grow up eating this kind of them. Finding a bag of chickpea flour while sorting through my pantry my first thought were dumplings. Just because I’d seen the idea on some other blog a while back and hadn’t been able to forget it. Internet-less in the moment I wanted to create them I just got creative myself – and was pleasantly surprised with the outcome. Less pleasant? The pictures. One of life’s lessons repeated: You can’t have everything. And when it comes to food I’d take deliciousness over perfect pictures any time. Don’t you agree?! Ending on a sweet note because I needed to. Why needed to? It’s as simple as ridiculous: Whenever I leave my parents’ house – if after a weekend stay or a long like this one – my mum demands I make a conscious effort to use up any frozen produce I bought. Don’t ask me why because a) differently from fresh produce frozen will still be good for several months [right?!] and b) she has a huge freezer – so why worry? Either way, it was another excuse to have the crumble again. Recycled picture because the light didn’t want to play along the second time. That’s it for a scrambled brain WIAW! I’m sure everybody else has been eating well and dutifully taking pictures of it so be sure to visit some other WIAW and Vegan Wednesday posts. Happiness inducing today: Finding a free treadmill in the rush hour at my new gym. Are there times when you can’t remember what you’ve been eating a few days later? Have you ever had dumplings? Share any great recipes you know because I really think I’m developping a new obsession here. Does anybody else prefer mashed avocado over chunks of it?